The Club collection is reminiscent of a 1930's English hunting lodge bespoke sophistication and luxury. Smoky tea-stained glass provides warmth and even light diffusion to contrast with the handsome bronze frame. Jewel-like pendants in a neutral distressed finish add even more panache for an elegant and well dressed effect to your home. Add value to your home with the Asset collection. Distinctively modern with familiar styling, Asset features a smart profile to coordinate with today's home. Etched glass provides gentle, uniform illumination. Offered as a complete collection, Asset can be carried throughout your home or as a focal style in a special room. Find your frame of reference with the Compass collection. Distinguished by crisp, linear elements that both contrast and cradle opal glass shades for pleasing illumination. Whether your style is modern or you simply prefer a style that is elegantly simple, Compass provides a sophisticated accent to your home's decor. The essence of a traditional gaslight lantern, Crestwood fixtures feature updated proportions for use in unexpected ways. Perfect for the Casual or Urban lifestyle, these fixtures are designed to be used singly in a foyer or in series over a dining table or kitchen island. Classically modern, Eclipse is an elegantly simple combination of metal and glass. The glass dome is supported without superfluous hardware to provide clean lines and crisp illumination. You will appreciate how the understated fashion of Eclipse coordinates with your decor. 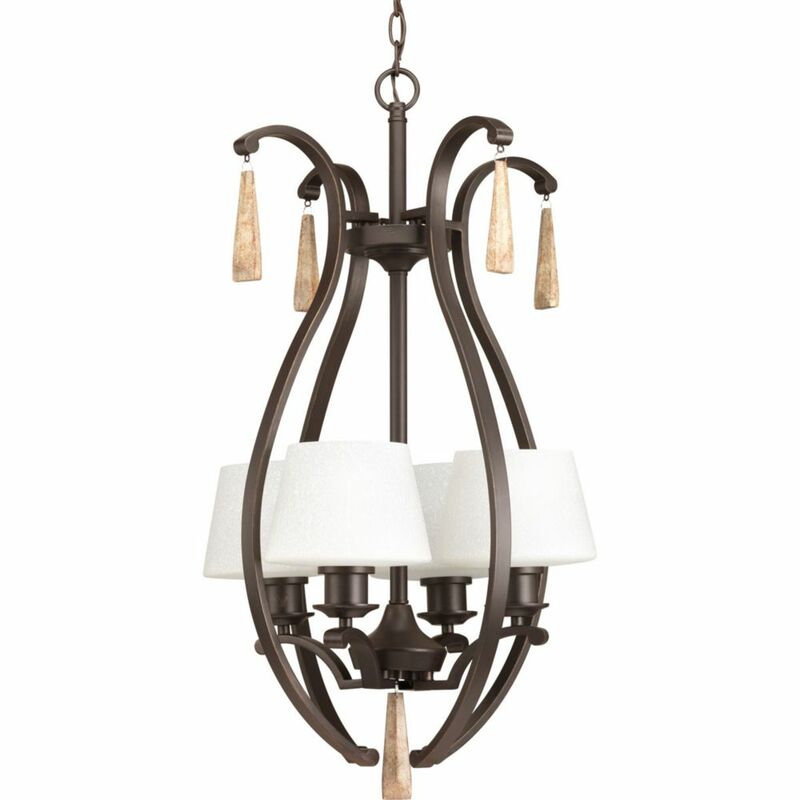 Club Collection 4-Light Antique Bronze Foyer Pendant The Club collection is reminiscent of a 1930's English hunting lodge bespoke sophistication and luxury. Smoky tea-stained glass provides warmth and even light diffusion to contrast with the handsome bronze frame. Jewel-like pendants in a neutral distressed finish add even more panache for an elegant and well dressed effect to your home.